We’ve all seen them but perhaps not noticed them, large glass and chrome monoliths, or drab grey concrete buildings lacking joy and empathy, bland corporate logos above the shining glass doors, staff packed in like battery hens as they try to “push the envelope” or provide “boots on the ground” – I am talking about office buildings – faceless corporate almost entity’s in themselves and an unavoidable part of our landscape. Pressure cooker culture with impossible ideals to meet, homes of one upmanship and targets and “dress down Friday and staff nights out that no one really wants to go on. 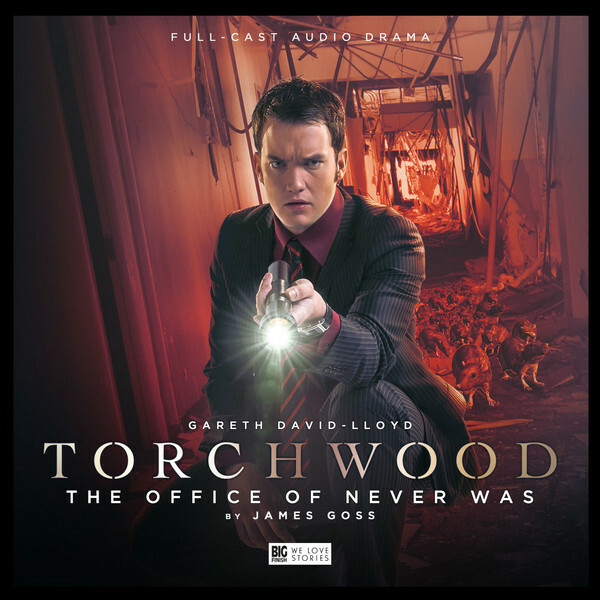 It was pretty inevitable that Torchwood would investigate one of these, and in this months release this is just what Ianto Jones (Gareth David-Lloyd) does. He doesn’t particularly want to, it is Friday night after all and he does have The Apprentice to watch, but investigate he does and for Ianto Jones this is a Friday night like no other, this is a Friday night where just once he should have gone home and watched The Apprentice, because the Office building that he is investigating seems to have been waiting for him…. There is something inherently creepy about deserted buildings, and even more creepy about deserted buildings that still seem to have a function – this one looks and feels like an office, but there is no one around, and Ianto is locked in. You can feel the tension and the building paranoia as Ianto explores his prison and discovers that perhaps this is a prison built specifically for him – but why? Why has he been lured here, and WHO is the girl that he meets (Bethan Rose Young) who claims to be in charge of security but cannot remember her name – can he trust her? Will he ever get to see this weeks (or any other weeks for that matter) episode of The Apprentice? This story goes right to the heart of what Torchwood are and what they do, it deals with the consequences of those actions almost like no other story before it and lays Ianto’s soul bare – Ianto always was the softer side of Torchwood, this explores how he deals with the contradictions in his job and how those contradictions can devastate the lives of those who Torchwood sometimes only think of as all in a days work. The special features for this story describe it as inspired by The Avengers episode “The Joker” and I can definitely see that – claustrophobic, dangerous and unpredictable and trending upwards (to use the vernacular of the Office) 8/10. This title was released in July 2017. It will be exclusively available to buy from the BF website until September 30th 2017, and on general sale after this date.